ZuluMites is a company passionate about revolutionizing teaching methods, programmes, training and resources when it came to learning isiZulu! You don’t need to go far to know that the ability to speak an African language is useful. The benefits of speaking an African language on this continent will enable a child to go further, and be more successful in the workplace. Research the world over supports that children should be exposed to additional languages as young as possible: the cognitive benefits like better memory, executive reasoning, creativity and problem solving to name a few, not to mention the social benefits of being able to speak a language of another race/culture and being confident and adaptable in different language settings! ZuluMites is the first activities-based language programme offering weekly isiZulu classes. Our lessons are conducted entirely in isiZulu by experienced facilitators in a small class environment, where every aspect of the activity is geared towards teaching the child language in a fun and memorable way. We have developed resources and training for isiZulu speaking Teachers and Caregivers that make Zulu learning more effective, fun, and engaging to the children in their care. Specifically designed for children 0-6yrs, our training focuses on developing confident, competent teachers of isiZulu. 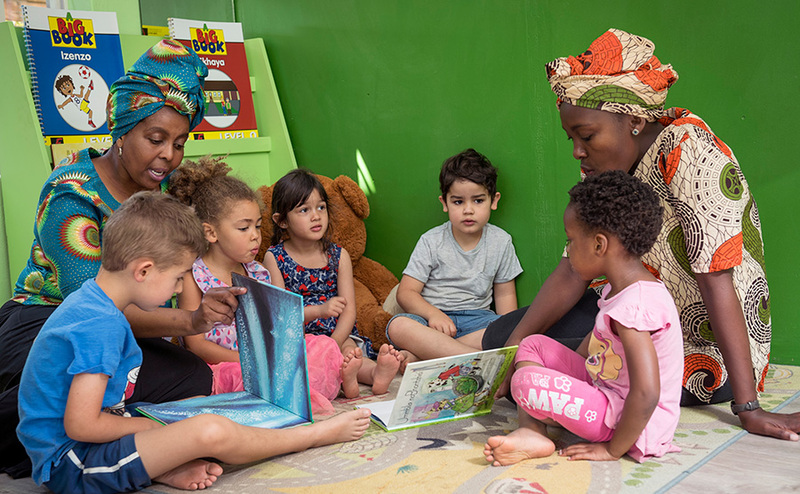 When it comes to choosing which African language your child should learn it would be wise to consider that isiZulu is spoken as a first language by over 20% of South Africa’s population and is the most widely spoken second language in the country. From a social perspective, the historical segregation of racial groups in South Africa has results in a lack of interaction between people groups, particularly between white and black. This is an enormous obstacle to the development of our nation in terms of the economy, education, sport, the arts and most critically, our society. When it comes to language, ZuluMites is based on the philosophy that language is part of life and cannot be taught in isolation. By combining language learning with an activity, it is both more memorable and more fun! By giving children a reason to speak the language and an environment where they can use it is, we believe, the best classroom model for teaching language. We make learning isiZulu accessible, fun and practical with a focus on younger learners. Our methodology leverages small class sizes, native speakers, a full immersion environment, and a practical activities-based curriculum that we developed ourselves. Mimosa teachers and parents feel strongly about the importance of learning an African language. We are so thrilled to have this programme in our school. It has a strong theoretical foundation, is methodologically creative and the course is well-structured. I love the way that speaking Zulu is becoming part of the culture of our school since we began our relationship with Zulumites! I feel this program has been hugely beneficial to my boys. Jonty and Calvin both understand nearly everything Maria says. I feel an extra bonus to this service was that it has given Maria and Jonty a special bond, and Maria feels she now plays a critical part in their lives which is what I would like her to feel. My son has been attending these classes since January this year and I can honestly say it is such a lovely course for toddlers to do. isiZulu is his third language and he can already understand, and speak so much in the last 9 months! Would highly recommend it!